Name. George Christopher Molesworth Birdwood who lived from 1832-1917 named the Olibanum or Frankincense plant, Boswellia carterii, aka B. carteri. The Latin binomial of one of the species of Frankincense was named after James Boswell [companion and biographer of Samuel Johnson] and the word ‘carterii’ after Professor H.J. Carter who described the Egyptian mummies and made the first scientific collection of specimens from Arabian frankincense in 1846. … “Dr. H. J. Carter was surgeon in an East Indian company survey ship, the H.M.S. Palinurus which was surveying the south Arabian coast”. He studied a branch of Frankincense tree thought to be a species similar to the Indian variety of Frankincense, B. serrata. Later work showed that Dr. Carter had actually been looking at B. sacra. The tree originally found by Carter was named after him by Birdwood and called B. carterii now called B. sacra. Even later studies showed that in all probability the tree found by Carter and named by Birdwood was of Somali origin. There are at least 17 species of Boswellia and they are very difficult to distinguish. The family name is Burseraceae and includes the genus of Myrrh, Olibanum and Elemi. The name Olibanum is derived from the Arabic word al luban or the milk, which refers to the milky exudate of the trees that is the resin. Country. These trees grow in Oman, Yemen and the Horn of Africa, including Somalia and Ethiopia. Botany.Frankincense (Boswellia carterii) comes from a small tree native to North Africa (Somalia) and some Arab countries. When the bark of the tree is damaged it exudes a white emulsion, the oleo-gum-resin that is white and milky. When this emulsion comes into contact with air it slowly hardens and congeals into tears and drops that are whitish – amber or burnt orange in color about ½ to 1 ½ inches in diameter. 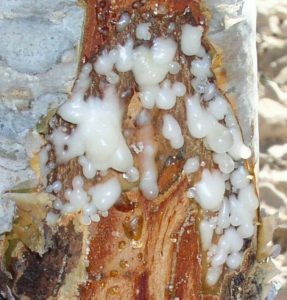 It is this emulsion or resin that is picked from the ground or off of the bark and that is steam distilled to produce the pure essential oil of Frankincense, also known as Olibanum. The resin comes from the schizogenous gum-oleo-resin reservoirs within the plant. It is now also CO2 extracted. History: There are very few essential herbs (plants used for medicine or body care or aroma) available that have a longer and more distinguished history than Cinnamon, Frankincense, Galbanum, Labdanum, Myrrh, and Storax. These have all been known and used since ancient times and all are mentioned more than once in the Bible as well as other historical texts. For about 400 + years we have had their essential oils as well. We have already discussed Myrrh in the November blog. This resin that was known around the world for thousands of years simply as ‘incense’, and has been in use by mankind since antiquity is Frankincense. This resin that was known around the world for thousands of years simply as ‘incense’, and has been in use by mankind since antiquity is Frankincense. The word Olibanum comes from the Arabic al-luban and means ‘the milk’ — the true incense. The word Frankincense comes from the old French word fraunk-encens and means the true or real incense. The historical use of Frankincense is in spiritual and religious rituals. It is one of the oldest herbs/resins used for this purpose. 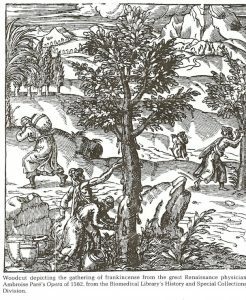 Rising smoke from burning resins was a means of communicating from the ancient peoples to the gods, and Frankincense was burned on hot coals for this purpose as well as for its healing properties and fragrance. Frankincense was considered a very sacred gift. It was also used in embalming. In ancient times Frankincense was bought and sold everywhere. 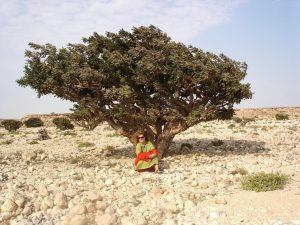 Arabia was the largest exporter and its trees produced the best quality Frankincense. In Babylon, every year 57,200 pounds of Frankincense was burned. In Assyria at the annual feast of the god Baal, nearly 60 tons of Frankincense was used. When Herod was buried, 5,000 slaves preceded the funeral procession carrying urns of the burning resin. At his wife’s funeral in 65 AD, Nero burned all the Frankincense produced by Arabia in one year. [He needed to expiate his sins as what is not generally known is that he had beat his pregnant wife to death]. The story most people are familiar with is that of the three holy kings who presented what they considered the most precious gifts to the Son of God at Bethlehem: gold, Frankincense, and Myrrh. The smoke of Frankincense fills churches and sacred spaces to this day as well as the ritual areas of many people. From this burning incense a fragrance issues that “that floats on an invisible thread to heaven to attract the attention of the Gods”. For it is on fragrance that the gods feed and it is fragrance that they desire. Dr. Michael Stoddord discovered that Frankincense contains a substance similar to sexual hormones, which awaken sexual desire. Reports for the Academy of Science in Leipzig, Germany claim that when Frankincense is burned the chemical tetrahydrocannabinol is produced. This substance is thought to expand the subconscious. Inhalation of Frankincense slows and deepens the breath and is calming and relaxing. Aroma Assessment/Organoleptics: The Frankincense oil that I have from 1972 is deep golden in color, clear, very viscous with a deep intensity of scent and a fragrance that is rich, spicy, balsamic, agreeable, with a citrus or lemon back note. It has a bitter aromatic taste. The Frankincense from 2003 is much paler gold in color, clear, not viscous, with a lighter smoother but not as richly pleasing an odor. 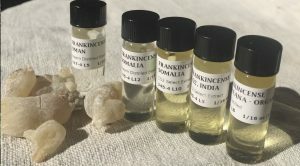 Currently, I have five samples of Frankincense and they are colorless to very pale yellow, clear, non-viscous, not intense with a bitter taste. This vast difference from golden yellow – colorless and viscous – non-viscous and intensely fragrant to not intense has happened in the last 10 years. Why? I cannot answer. The right nostril processes navigational related odors. And people favor the right nostril when detecting and evaluating the intensity of odors, hinting at a broader olfactory asymmetry. So if you are lost and wish to get home or wish to know the intensity of a scent, sniff the air with the right side. Left nostril smells the scent and right side nostril smells the intensity. Smell left for scent, smell right for intensity and then waft to get the entire scent experience. 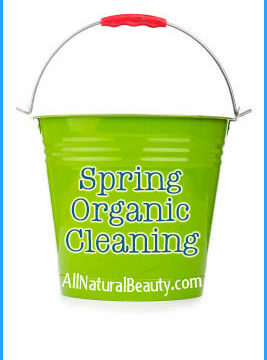 Application: The use of the essential oil of Frankincense has expanded beyond spiritual use. It is a valuable addition to skin and body care products due to its astringent and antiseptic properties. It is useful in lotions, salves, soaps and oils and indicated for acne, skin problems, and boils. Frankincense essential oil benefits the skin by keeping it healthy and preventing wrinkling and aging. Ingestion: Frankincense resin can be partially dissolved in water and this water is drunk for the boswellic acid that is helpful in clearing disease. Inhalation: Used by inhalation in a diffuser, Frankincense is beneficial in treating bronchitis, excessive mucus, colds, and coughs. It is indicated for excessive mucous, as an inhalant treatment for asthma, inhaled and massaged to stimulate the immune system and for nervous depression. Perfumery: Frankincense is a useful addition to aromatherapy blends and potpourri, where it serves to fix the scent and acts as a base note. It is of particular value in perfume blends of the Oriental style, because it rounds out and gives alluring tones that are particularly difficult to identify as to the source. Properties: In addition, Franchomme and Pénoël suggest that the properties are anti-catarrh, expectorant, cicatrizing, immuno-stimulating and anti-depressant. Hydrosol: I have had the pleasure to experience the hydrosol of Frankincense that was distilled by Jack Chaitman. It was very refreshing with an herbal citrus scent. This was mixed with Rosemary hydrosol 50•50 and used as a facial spray. 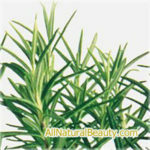 With Rosemary hydrosol, the combination is soothing to the skin and anti-aging. If you choose to use the resin instead, soaked in water, then the fluid diluted, filtered — this can be used as a facial or body spray as well. Endangered or not: Frankincense is considered to be threatened and/or endangered due to heavy usage, people moving into the Frankincense areas and by over-tapping. Dutch and Ethiopian researchers studying populations of the trees in northern Ethiopia found that as many as 7% of the trees are dying each year and that it could be gone within 50 years. Safety Precautions: There are no known contra-indications. However, I recommend that you dilute before using and a patch test should be performed before use for those with sensitive skin. There is more risk of harm if using oxidized oil. See p. 64 The Aromatherapy Book, Applications & Inhalations for the test. Storage: Store the EO in glass in a cool dark place, but not in the fridge or freezer. The resinous oil may harden after a time but can be diluted with a bit of alcohol, and it will slowly soften and liquefy after a few days. 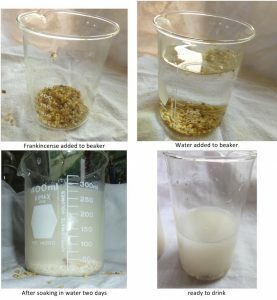 Frankincense is considered slowly soluble in 3.5 to 6 vol. of 90% alcohol, sometimes with slight turbidity. Chemistry: Chemistry of the Essential Oil. The chemical components of Frankincense include 1-a-pinene, dipentene, Phellandrene, cadinene, camphene, olibanol, and various resins. Olibanol is considered to be in reality a mixture of verbenone, verbenol, and some other terpene alcohols, including most likely d-borneol. According to Blumann and Schulz “olibanol” is C26H44O. Optical Rotation.………………….The oils distilled prior to 1903 were levorotatory, up to —17°; since then they are dextrorotatory, up to +35°. The cause of this change is not clear. Solubility.…………………………Soluble in 3.5 to 6 vol. of 90% alcohol, sometimes with slight turbidity. Only four resins have been laboratory tested to have Boswellic acid in them; Boswellia papyrifera, B. sacra/carterii, and B. serrata. Abstract ~ Oleogum resins from BOSWELLIA species are used in traditional medicine in India and African countries for the treatment of a variety of diseases. Animal experiments showed anti-inflammatory activity of the extract. The mechanism of this action is due to some boswellic acids. It is different from that of NSAID and is related to components of the immune system. The most evident action is the inhibition of 5-lipoxygenase. However, other factors such as cytokines (interleukins and TNF-alpha) and the complement system are also candidates. Moreover, leukocyte elastase and oxygen radicals are targets. Clinical studies, so far with pilot character, suggest efficacy in some autoimmune diseases including rheumatoid arthritis, Crohn’s disease, ulcerative colitis and bronchial asthma. Side effects are not severe when compared to modern drugs used for the treatment of these diseases. Collective information: Frankincense was widely used for medicinal purposes to treat skin disease, nervous system imbalances and digestive disruption, and was listed as a medicinal and aromatic plant in the ancient Egyptian record, Ebers Papyrus. Like Myrrh, the oil was used in ancient times for embalming, as well as beautifying rituals, including using the charred resin for kohl eyeliner. But Frankincense is perhaps best known for its calming and sedative effects on the mind and central nervous system, making it ideal for meditation. The smoke of the burning incense is also used to cleanse the body of critters and smells — you can see this as a painting on the cover of my book, The World of Aromatherapy or in Massachusetts at the Sterling and Francine Clark Art Institute in Williamstown as Fumée d’AmberGris, 1880 by John Singer Sargent. Menninger describes Frankincense tree as looking like a ‘decomposing corpse’ with its stiff branches, scanty leaves and trunk color of a peculiar blotchy color. He goes on to say that the flowers are few, red and with an odor that is not always pleasant. FRANKINCENSE: (Boswellia spp.) Fam. Burseraceae. The true incense. A much favored incense for churches and other places of spiritual ritual. The essential oil calms and awakens higher consciousness. It is useful in coping with grief, soothes the mind and emotions. It is useful for respiratory conditions, is warming, in body care products for aging skin. A very spiritual, ancient odor. GALBANUM: (Ferula galbaniflua) Fam. Apiaceae. This deep aroma that resonates of green and vegetative, represents the element of air. It is grounding, uplifting, and balancing. 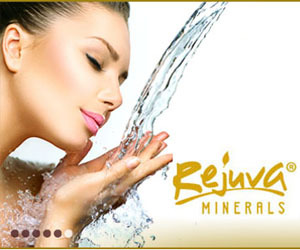 Applied externally in skin care it rejuvenates aging skin; it is used as a fixative in perfumery and aromatherapy. MYRRH: (Commiphora molmol) Fam. Burseraceae. Inhale to calm fears about the future. Smells hot but cools the air and the emotions. Antiseptic to the lungs, good for problems of the throat or for arthritis. Possible wound treatment. A luxury infused oil for 5000 years when it was used in cosmetics and perfumery. Revitalizes the skin, especially for aged and wrinkled skin. Inhaled to regulate the body secretions, as an astringent and antiseptic to the lungs, to stimulate 6th and 7th chakra. Vibrates in blue to indigo. Mix these EO’s together in any combination and you will have a rich, deeply scented combination of oils to use in meditation, celebration or any use that pleases you. If you are using the herbs, that is, the resins, mix them as well in any combination and burn over charcoal to have a lovely incense for ritual use. Don’t worry! Be content with your life. Perfume/Cologne ~ Oriental Perfume @ 25% or l6 % if including the water. Mix together by succussion and let age for 2 weeks. Then add 75 drops of 95% alcohol and age again. Add 50 drops distilled water. Shake before using. Spiritual Uses: Meditation and calming is what Frankincense is known for. The resin is burned and inhaled in the Catholic Church and other rituals, the essential oil is applied to the pulse points prior to meditation or prayer and I use it in this fashion when I walk the labyrinth. Menninger states that the incense burned in the Catholic Church is a mixture of 66% Frankincense, 27% Styrax benzoin, 7% Liquidamber orientalis and this distinctive scent burns visible but without excessive clouding. Varying amounts of Juniper berry, Frankincense resin, and Bergamot peel. Because the resin will get sticky and dry out you must always clean your diffuser with alcohol after each use. 30 drops each of Frankincense resin, Lavender flower from high altitude, & Rosemary verbenone. 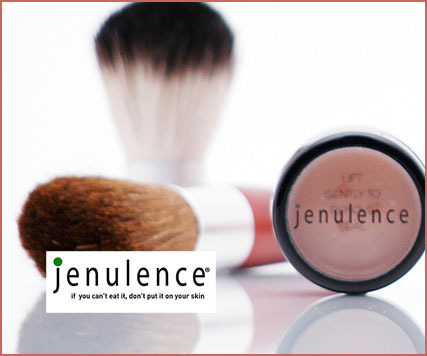 Blend and add to 2 oz. any carrier oil + 2 oz. Calophyllum and ½ tsp. Vitamin E oil. Apply daily to the skin or scalp and massage in gently. Smells resinous and sharp. The Rose absolute scent may be completely lost. But it does condition the scalp and get rid of any lingering yeast. Mix the oils together, add to the grape spirits. When needed, shake the bottle and add a dab to the scalp, massage into scalp. 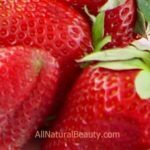 This will also help cure alopecia if you substitute Thyme linaloöl for the Rose absolute. Blended and added to 4 oz. carrier oil and ½ tsp. Vitamin E oil. Rub no more than 1 oz. all over your body after bath or shower. 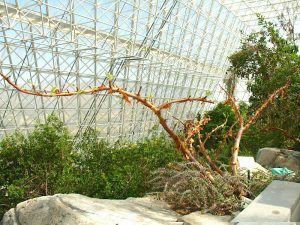 Amazing Jeanne Rose Tomato Tales: In 2003 I was asked to teach a class at the Biosphere in Tucson, AZ. On our initial tour through this rather amazing place, I saw the Frankincense tree that had been a gift from a Saudi prince. It wasn’t as leafy as it is now, but none-the-less it was growing in the desert atmosphere. What an amazing tree. I had been collecting resin, essential oil and information on this Biblical plant since 1970. And here it was for me to see. The class was a wonderful success and the tour a wealth of information. Jeanne Rose tips and tricks: People want to drink Frankincense for the boswellic acid that is considered a cancer ‘cure’. It is really easy to make. 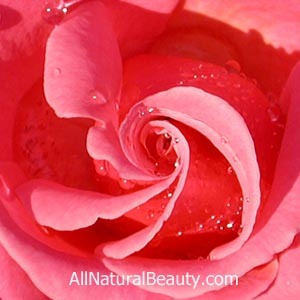 Remember that the essential oil does not have the boswellic acid, it is in the resin. Simply take a small handful of the resin, place in a beaker, add 300 ml of water, let it soak for 2 days, transfer the milky solution to a new container, refrigerate. 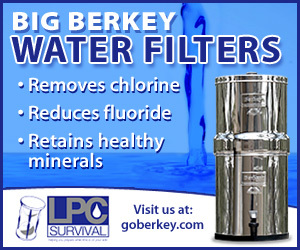 Drink 1-2 ounce per day. Repeat. Dry out the residue that is in the beaker and burn as incense. Franchomme & Pénoël. l’aromatherapie exactement. Jollois, 1990. Menninger, Edwin. Fantastic Trees. Timber Press, Oregon. 1967, 1995. Plants of Dhofar. Publ. Adviser for Conservation of the Environment. Sultanate of Oman. 1988. —————. The Aromatherapy Book. North Atlantic Books. 1992. Sellar, Wanda & M. Watt. Frankincense & Myrrh. C.W. Daniel. 1996.
fig. 6. 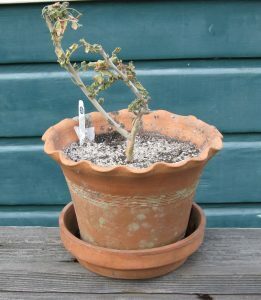 Poor pathetic example of the Frankincense tree that I tried to grow in a pot. 2011. Do not Ingest essential oils: Although some oils are important flavoring oils in the flavor industry and thus ingested in very small amounts in many foods, especially meats and sausages, it is not a good idea to use them yourself either in capsules or honey to take internally. There is so much information available on this plant, that this short blog post will only highlight what I find to be some of the interesting aspects of Frankincense. 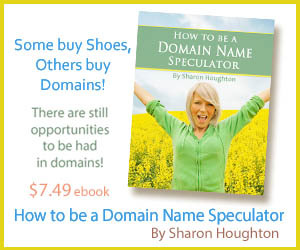 When searching for information ignore sites that want to sell you any sort of product. Instead check under words like ‘Frankincense taxonomy’ or ‘science of Frankincense’ or ‘smithsonian.gov or ncbi.nlm.nih.gov or the theplantlist.com, or ‘frankincense gc/ms or the same main leads using its Latin name Boswellia. 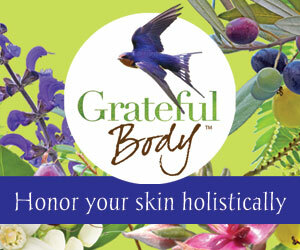 Safety Precautions: Do not apply the essential oil neat, especially to the underarms or delicate parts of the body. Most oils are probably not to be used on babies, children or pregnant women. Many aromatherapist suggest that there are some oils not be used at all. However, as with many plants, essential oil chemistry is subject to change depending on species and terroir. Jeanne Rose ~ Jeanne is the founder of New Age Creations, the first body-care company in the United States to use aromatherapy (since 1967) based on the formulas she invented and then used in The Herbal Body Book; she is the Director/Educator of both the Herbal Studies Course and the Aromatherapy Studies Course by home-study and Distance-Learning and the author of 25 books. She coined the word ‘hydrosol’ for the aromatic waters of distillation. She was the first to teach the Art of Distillation to aroma practitioners. 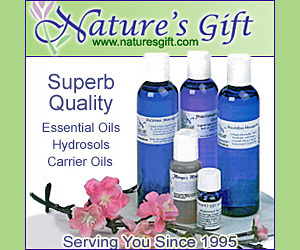 She brings 45 years of experience and personal research in her practice of Aromatherapy. 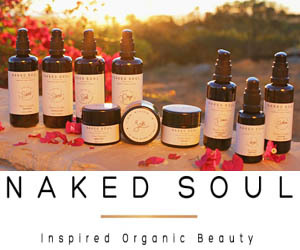 Jeanne Rose has held the Executive positions of (NAHA), The American Herbalist Association (AHA), and The Aromatic Plant Project (APP) —which encourages the production and use of American grown essential oils and hydrosols. Jeanne Rose teaches all aspect of aromatherapy and herbalism as well as Aromatherapy Certification Courses; and the Art of Distillation. She practices a personal ecology and eats organically grown and locally sourced foods. 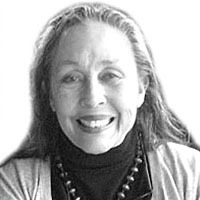 Rose is the author of over 20 books, including Herbs & Things, The Herbal Body Book, The Aromatherapy Book, and Jeanne Rose’s Herbal Guide to Food, and she has taught herbs, aromatherapy and distillation extensively throughout the U.S. She organized and was President of the first large Aromatherapy organization in the United States, NAHA, and speaks widely at many other events and conferences. She teaches distillation techniques for quality essential oils throughout various parts of the world. The word, ‘hydrosol’ as used for the waters of distillation, was first used and put in place by Jeanne Rose in 1990. Eco Living: Vanilla Extract, Vanilla Glycerite, And Vanilla Infused Oil Recipes!